Children may face the death of a family member or friend while under your teaching. How do you handle this delicate topic? How can you affirm the goodness of God? There are three steps in explaining death to children. Death is part of life. Using the seasons as an example, show children that God has a time for everything. In God’s creation everything has its beginning and end—even the people God loves. Most children can understand that death is permanent. But due to the impact of violence in the media, few may understand that death can come as a gentle release in old age from a body that can no longer serve its wearer. Death is final. Again, examples from God’s creation can help. For many children the first experience with death will be the passing of a pet. A child needs to acknowledge the finality of death. Present the facts in age-appropriate vocabulary and with a sympathetic understanding of the individual child. Let the child feel God’s love wrapped around him through you. Death is part of God’s plan. All living things die. But God has a wonderful plan for people after death. He sent Jesus to Earth to die for our sins. Those who believe on Jesus can be with Him in Heaven after their bodies die. If you are talking with a child whose loved one has died and you are not sure that person was a Christian, focus on the child’s own relationship with the Lord. Affirm the child’s tears as natural and helpful. Don’t expect the child to “get over it” quickly; the process of active grieving for a close family member aver­ages about a year. A child old enough to have shared in the love of a person who has died is old enough to share the loss of that person. Talk about the person who has died, reminding the child of the fun times and the loving relationship they shared. As­sure the child that God knows about his sadness and wants to help him through this difficult time. Pray with the child— thank God for this person and all he has meant to the child. Understanding the grief process will enable you to be helpful to the child and an encouragement to the parents as well. The child may avoid the topic of death for a time. Denying the death is a safety mechanism that allows the child to slip into reality slowly. The child may then move into a time of fear and anxiety over the death. He needs reassurance and security. The child may go on a search for the dead person in some form or symbol­ic way. A common way for a child to “find” the dead loved one is to look at a family album. The child may express inappropriate anger, even anger toward God. Accept the child’s feelings no matter how in­tense. 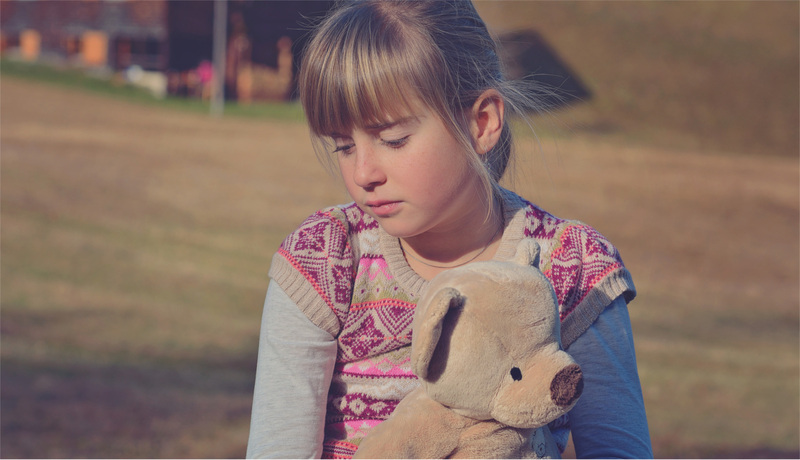 The child may then realize a deep loss—perhaps feeling depressed and lonely. Life will eventually fall back into a secure routine. While the loss does not go away it mellows. Good memories take over and the child is able to think about the loved one without tears. Answer questions truthfully and in simple terms. Comfort children with the fact that all those who are in the family of God will be reunited, living in bodies that will never wear out, enjoying God’s wonderful home forever.